Though Apple tends to focus on the consumer aspects of its devices and software, the new iPhones and Apple Watch unveiled this week could shake up everything from healthcare to retail and even media. Apple’s event this week was all about its new iPhones, which go on sale Sept. 21, and the Apple Watch Series 4. The focus, as is usually the case with Apple, centered largely around consumer uses – health tracking, photography, performance, incredible new OLED screens and the “Liquid Retina” display of the less-expensive iPhone Xr. The on-stage demos centered on audio, still images, video and gaming. Though the improved hardware will no doubt be important to business users, there was essentially no discussion of enterprise use cases for the devices. And yet they will disrupt multiple industries. In some cases, this disruption will be a continuation of the impact that Apple has already had or re-disruption of industries Apple has already significantly transformed. Here are four industries likely to see their processes, focus and business models dramatically changed as Apple presses forward. Apple has disrupted healthcare repeatedly during the past decade, beginning with the introduction of the iPad (which is expected to get a refresh later this year). Almost immediately, doctors, surgeons and other healthcare professionals saw value in the tablet as an ideal tool for helping them communicate information to patients and colleagues. Apple has very clearly focused on healthcare, steadily building an in-house team of experts, most notably around medical devices who know how to work with regulators, researchers and IT. With the introduction of HealthKit, ResearchKit and CareKit, Apple has been at the forefront of unlocking personal health data and allowing users to share it with care teams, researchers and even first responders. Some of the broadest health studies ever conducted have relied on ResearchKit. iPhones and Apple Watches make it possible to contact emergency services and care-givers in seconds, and they provide key information about us using the emergency medical information card that can be accessed on an iPhone – even when the phone is locked. And increasingly, they alert us to signs of danger and disease that might otherwise go unnoticed. Apple is not slowing its efforts; in fact, it’s just getting started. The announcement this week of fall detection, complete with an understanding of different types of falls, is a major improvement aimed directly at older users. Much more significant is the revamped heart sensor that can not only alert users to danger that might be missed by doctors – something I personally experienced this summer – but now the device can perform a 1-lead ECG in a matter of seconds. This is an incredible advance for any device and it will be able to provide important information to cardiologists, primary care doctors, and emergency care. Even more notable: Apple was able to thread the needle of regulatory approval in the U.S. Companies like AliveCor have been working to bring similar solutions to market. (AliveCor’s original breakthrough product was an iPhone case that offered similar capabilities, but it needed to be placed on a patient’s chest). Apple is also known to be investigating other abilities in this area, including blood pressure and non-invasive blood glucose monitoring. 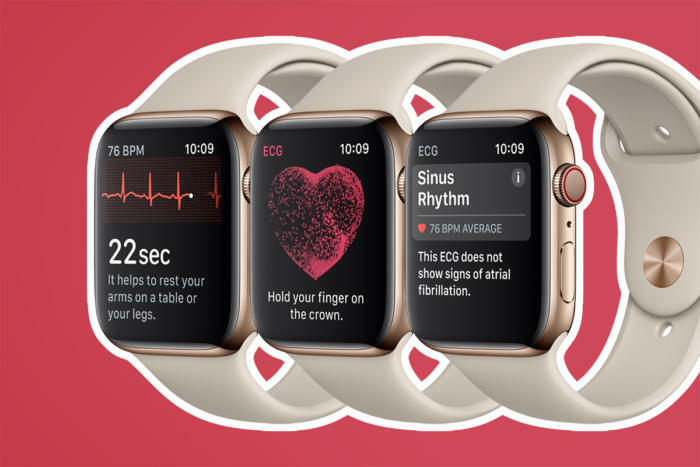 I wouldn't go so far as to suggest that Apple will ever displace medical equipment in hospitals or other care venues – the Apple Watch can’t do a multi-lead ECG – but the company is looking to augment those abilities by enabling tracking in non-clinical settings. This will provide a lot of information that today isn’t possible to capture easily over the long term. That doesn’t just mean more data, but more real-world data, an important distinction because studies have shown that about one quarter of patients have elevated markers like heart rate and blood pressure in a doctor’s office or hospital due to anxiety about being in a clinic. Apple is intent on providing this data to users and doctors and incorporating key contextual data such as time, location and activity information. In terms of getting this data into the hands of doctors, Apple has already taken on that challenge with the ability to interact with healthcare provider information systems. One point Apple continues to drive home is the power of the iPhone camera. The company highlights a great variety of photos captured on the iPhone as part of its overall marketing message about the device. Beginning last year, the company also began hammering home the power of not just the hardware of its cameras, but also the power of its processors and machine-learning capabilities to get a perfect shot. Apple touts the iPhone as being equal to pro-level DSLRs while remaining simple to use. This approach pairs with iOS becoming an image- and video-editing platform in its own right. Adobe, long considered the leading name in digital photography and design, has brought over an increasing chunk of its pro apps to iOS, including Illustrator and Photoshop. This means graphics and media professionals can accomplish an ever-growing amount of work on Apple’s high-end phones as well as with the iPad Pro. This trend, combined with the realization that the best camera for any job is the one you have with you, opens up the power of mobile photography, videography and design. With editing options once the purview of studios with powerful devices and desktops now in the palm of your hand, shooting, editing and posting – or preparing photos for print – can happen in the field in near-real time. This has big implications for these creative fields, and great potential for marketing. As marketing moves from its print roots to online social media, brand management, events and even live streaming, the iPhone supports this evolution by allowing complex workflows to be done in seconds in the field. It allows marketing teams to engage with events, social trends and an array of slice-of-life moments that can open new markets, clients, and the public in new ways. It allows crisp and polished results to be made from photos and video in minutes, or even seconds – and that means generating tons of new content at a moment’s notice. Combining those new abilities with social media means a marketing pro can nurture a campaign from anywhere, generate leads from any event, and engage with customers wherever they may be. This gives marketing agencies and departments the leanness of a startup – and it allows startups to deliver highly professional results on the fly. This flattening of the playing field will have an enormous impact, allowing for great content, live and matched with the right message or hashtag to be spread widely, all from the exhibit floor so to speak. It also means being able to catch and catapult organic trends in viral ways that has often been more art and luck than science and intention. As with healthcare, we’re still in the first or second inning of where this disruption will lead. Unlike healthcare, where there is a somewhat steady goal line, the evolving nature of these professions and technology means this will be an ongoing experiment in disruption. The same power the iPhone puts in the hands of marketing professionals also arrives for reporters who can now shoot, edit and publish news in minutes. The Internet, smartphones, and blogging and social media have been powerful forces in the media world for years now. But in many cases, those resources have remained siloed. 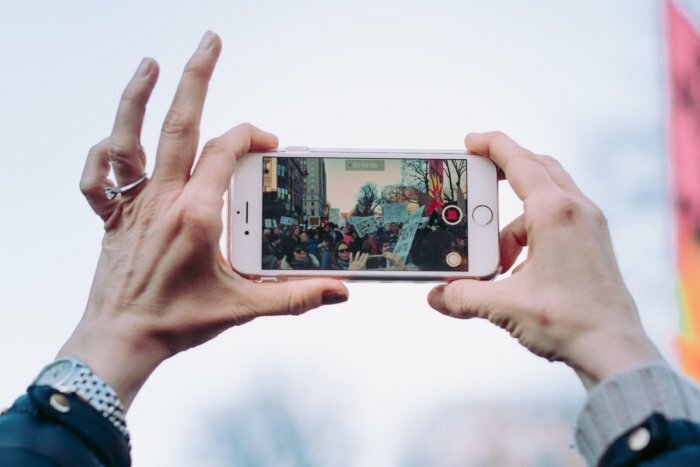 Video from a mobile phone has been available to journalists for ages now, but it has also been considered less valuable than footage shot with a crew and producer. Until recently, this made perfect sense; video,and sound quality were clearly sub-par. Connectivity posed challenges. And editing was relegated to home base under the watchful eye of a producer. This formula and the workflow it requires has begun to shift in recent years, but the limitations of hardware and software on mobile devices left it in place. The easy-to-use editing capabilities that iPhones (and mobile devices in general) provide and increasingly professional tools now allow journalists and bloggers to take power into their own hands. This allows difficult-to-access raw information to become polished reports that can be posted, streamed and delivered right away as news unfolds. Not only is this explosive in terms of timeliness and quality, but the iPhone’s low cost (when compared to the high-end gear traditionally used) puts these abilities in many more hands. One of the first augmented reality (AR) companies highlighted by Apple with the introduction of ARKit last year was IKEA. 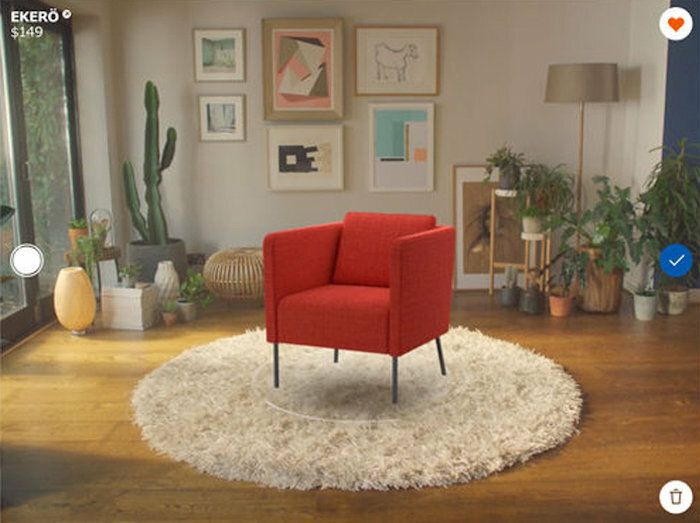 The furniture retailer made use of the technology to allow customers to visualize how pieces of furniture would look in their homes. As retail has moved online, the ability to accurately place products in the home has become paramount. This is particularly true since many people find it difficult to judge objects based solely on their dimensions or accurately assess color. AR provides a solution, especially when its pared with smart color displays such as those used in iOS devices. Apple makes that solution easy. While redecorating a room is an obvious application, it barely scratches the surface of how AR can be used in retail. One of the biggest trends today in retail involves subscription services that deliver a monthly package containing items a company thinks will delight or be of use to consumers. Although these services started with companies like Blue Apron that make it easier to make meals at home, the approach now runs the gamut from outerwear to razors to undergarments and even home decor. All of these companies rely on data and analytics to recognize trends and decide what to send out each month. Being highly data driven, the new iPhones allow users to share detailed measurements, aesthetics, and other information back to companies. A handy AR-compatible device (and the right algorithms) can help tailor what people receive beginning when they sign up for a service. That could include anything from the measurements of our homes, our bodies, or anything else. Beyond simply picturing how an IKEA chair will look in our living room, for example, we can send over room measurements, details about our furniture and the colors of the walls, carpet and artwork in a room; a company can then pull items tailored for our spaces or suggest pieces we’re “missing” in a way no catalog can offer. One photo of our bathroom counter can yield suggestions for towels, bath mats, soaps, skin lotion, toothbrush holders, or shower curtains. it's like having a virtual designer working with us at every step of the way. Similarly, the same photo – along with a selfie – can allow a company to offer up specific razors, shaving cream, cologne, or even a suggested haircut or beard trim. A photo of our closet can return clothing suggestions and even closet-organizing systems. What we’re really talking about here is the ability to turn our phone into a personal shopper by allowing an app, or collection of apps, to peek inside our home. We get an integrated set of items that are much more likely to fit us than something found while browsing a website or visiting a store. Although these are only four industries, the volume of disruption across them touches virtually every part of our lives. Where many people wondered if Apple could remain a potent and disruptive force after the death of CEO Steve Jobs, Apple in 2018 has proved that it can – and will – remain a technological disruptor for years to come.